Former Maricopa County, Ariz., Sheriff Joe Arpaio will officially have his criminal record scrubbed clean after a federal judge accepted his presidential pardon Wednesday. According to the Arizona Republic, at the request of Arpaio’s defense lawyers as well as lawyers form the U.S. Department of Justice, U.S. District Judge Susan Bolton dismissed Arpaio’s guilty verdict with prejudice, meaning that the case can never be tried again. You’d think the DOJ lawyers especially would have other things to work on and worry about, given, you know, how many accusations of police brutality the nation has been grappling with for the past few years. But, yet, here we are, securing the freedom of a windbag who continually harassed Latino people, has a laundry list of horrific things that happened in his jail while he was running it and, because one cannot be too much of a racist caricature apparently, continues to insist that our former President Barack Obama’s birth certificate is fake. 10 Disgusting Things Joe Arpaio Did as Sheriff of Maricopa County, Ariz.
Oh, to be a white man in this country. I imagine it must be lit. Back on July 31, Arpaio was found guilty of criminal contempt for “flagrant disregard” of another federal judge’s order to stop profiling Latinos in his signature, nightmarish immigration patrols. 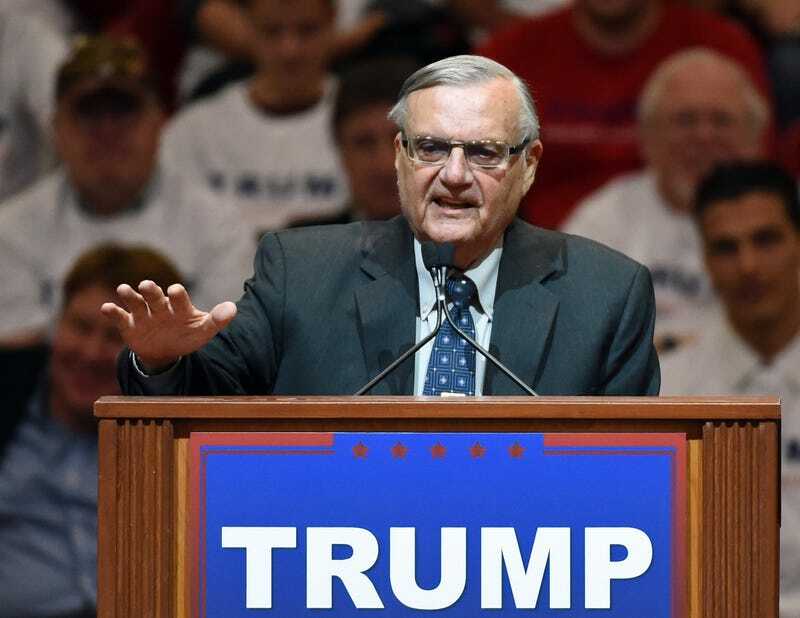 District Judge G. Murray Snow forbade Arpaio’s deputies from detaining individuals based on their immigration status back in December 2011. However, the practice went on for some 17 months, during which Arpaio’s office is said to have illegally detained at least 171 people, the Republic notes. Before Arpaio could face the music for his crimes, which was only a measly one year’s maximum incarceration, President Donald Trump decided to pardon him, once again showing exactly where this country stands when it comes to people of color.